Help them celebrate their exciting news with this unique gift – an edible treat that’s (almost) too wonderful to eat. We love these stylish cupcake decorations. The toppers can be personalised with the names of the couple who have become engaged. 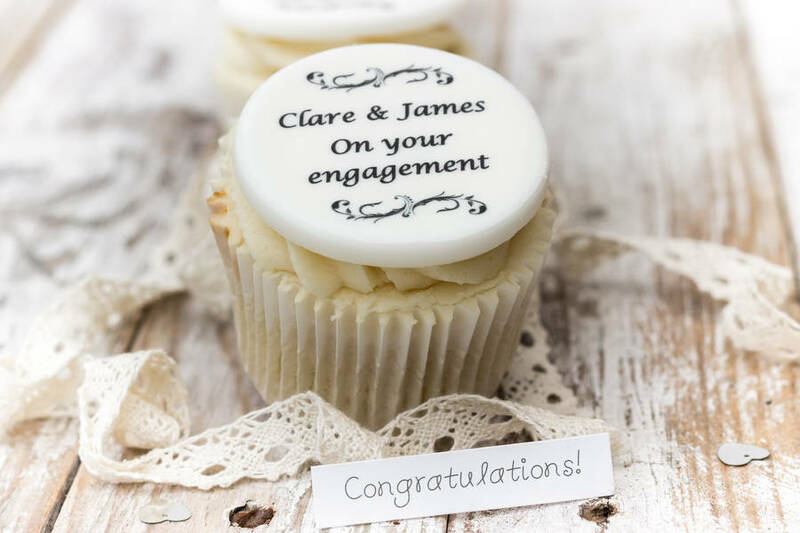 The cupcake toppers also detail the lovely message 'On your engagement'. 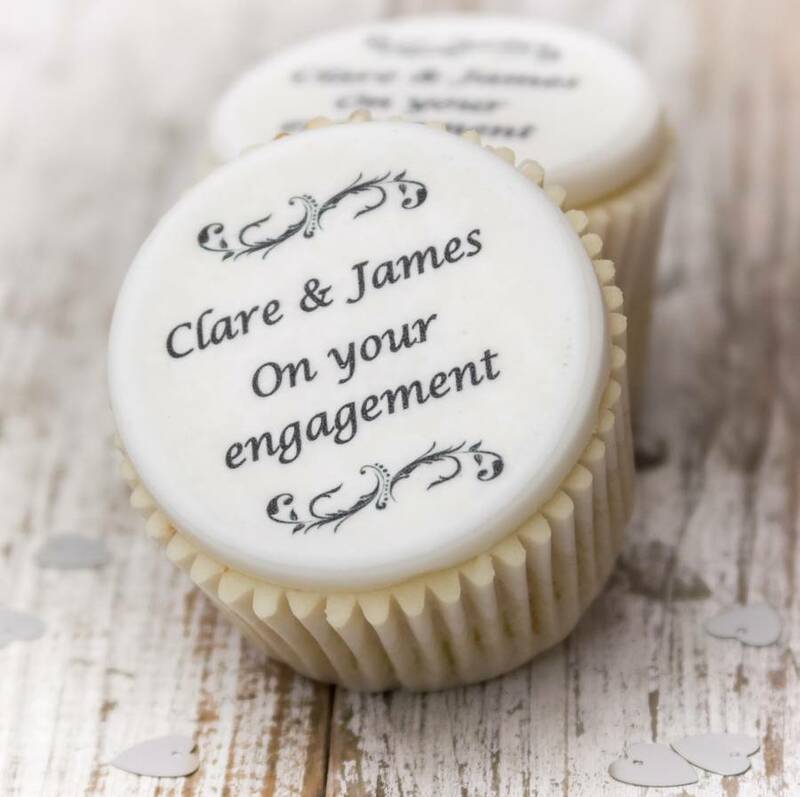 These personalised cupcake decorations look fabulous on a cake stand at an engagement party. 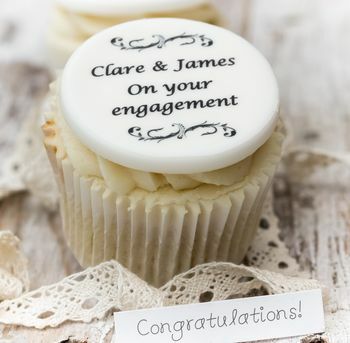 Alternatively, a box of cupcakes decorated with these cupcake toppers make a wonderful engagement present. The toppers can be used in different ways depending on what effect you're trying to create. In the main image above, the cupcake topper has been lightly stuck to a circle/disc of thicker fondant icing. This gives the cupcake topper a thicker look and maintains the rigidity. Alternatively, you can cover your cupcakes with standard water icing, let the icing dry and then stick the topper directly into this icing. The decorations last for up to three months from the point of ordering so long as they are kept in their original packaging. Our cupcake toppers are suitable for vegetarians and vegans. Unfortunately, we can't guarantee nut free on our products. 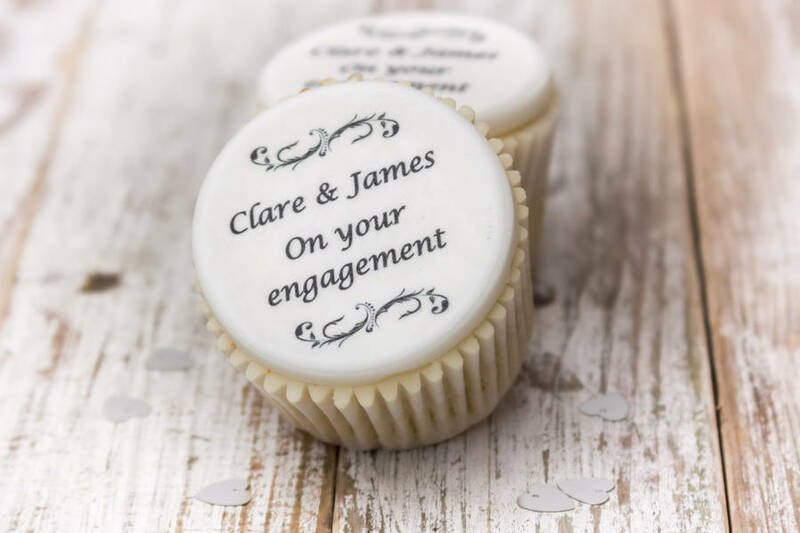 The sugar cupcake toppers are completely edible and are suitable to be used on most cake toppings.